The Federal archeology program is a general term used to encompass archeological activities on public land, as well as archeological activities for federally financed, permitted, or licensed activities on nonfederal land. Included under this term are archeological interpretation programs, collections care, scientific investigations, activities related to the protection of archeological resources, and archeological public education and outreach efforts. The foundation for these activities and programs was laid by the authorities and protections provided by the Antiquities Act of 1906, and the public policy of progressive archeological resource management that it initiated. The basic policies of the Antiquities Act are enhanced and expanded by subsequent laws, regulations, policies, and guidelines that describe and define activities to preserve, properly treat, and protect archeological sites and objects. The laws passed in the wake of the Antiquities Act include: the Historic Sites Act of 1935 and the Archeological and Historic Preservation Act (AHPA; also known as the Reservoir Salvage Act, the Moss-Bennett Act, or the Archeological Recovery Act). Most important among the laws related to public archeological activities at the present time are the Archaeological Resources Protection Act (ARPA) and the National Historic Preservation Act (NHPA), especially Sections 106 and 110. One provision of the Antiquities Act was the requirement that a permit be issued to any institution or person who wanted to investigate an archeological site on public land. Permits to conduct archeological investigations on public lands still are required, although today most are issued under the authority of ARPA rather than the Antiquities Act. Dozens of federal agencies, including the Bureau of Land Management, Fish and Wildlife Service, Bureau of Reclamation, US Army Corps of Engineers, Forest Service, and National Park Service, undertake archeological activities and contribute to the Federal archeological program as it relates to their own activities and responsibilities. The Secretary of the Interior is charged with providing general guidance and coordination for all of federal archeology. The Secretary reports periodically to Congress on federal archeological activities under the Archeological and Historic Preservation Act and the Archaeological Resources Protection Act. The Departmental Consulting Archeologist prepares the report for the Secretary with the support of the Archeology Program, NPS, and cooperation of dozens of federal agencies. The position of Departmental Consulting Archeologist (DCA) was created in 1927 to advise the Secretary of the Interior about archeological matters handled by any bureau of the Department. Jesse Nusbaum, a Southwestern archeologist and contemporary of Edgar Lee Hewett and Alfred V. Kidder, was the first DCA. From its inception the DCA activities included a range of functions. Review of Antiquities Act permit applications and oversight of permitted investigations were a main activity. 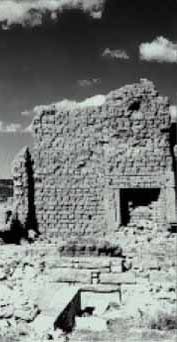 Other important activities included: advocating for better protection of archeological sites scattered over the lands of the Department, mainly in the Southwest; preventing unlawful excavation and gathering of objects of antiquity on federal and tribal lands; and encouraging the publication of archeological reports through the scientific and educational institutions that carried out most of the studies done under early Antiquities Act permits. maintaining and providing information about public education and outreach efforts for the public on the nature and value of archeological resources.